“It’s too cold.” (Uh, it’s not cold in the gym.) “I don’t like leaving my cat alone.” (Hold on, our eyes are rolling.) We’ve compiled the top 10 excuses that gym skippers give, and we’ve got a solution to each and every one. I’m too tired after work. If you’re always tired after a long day at the office, then exercise might be the cure. My life is just too busy. You should make time for yourself, schedule your workout in advance. Put it on your calendar and treat this like an important meeting. There is always time for a quick run around the block or a dumbbell routine while you watch television. Making time for yourself should be a priority. I have to watch my kids. 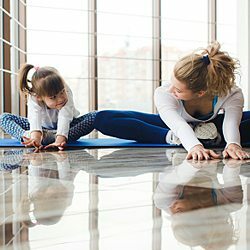 Staying active and healthy for your children’s sake should be the main reason to toss this excuse. Be sure you vary your workouts so that you aren’t exercising the same muscles over and over — a common cause of soreness. If you normally run on the treadmill, then ride a stationary bike or use an elliptical machine, or skip the weights and take a yoga class. That said, if you’re so sore that you can’t perform everyday tasks like lifting a box, you should skip the gym. The stronger you are, the less sore you’ll be next time. I’m intimidated by the machines. 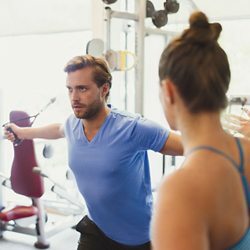 You can always ask a Gold’s Gym trainer to show you around or explain how to use a machine. Also, there are many online resources, including the Gold’s Gym Strength Exchange, that can teach you proper form and technique. Overcome your fear with knowledge. I’ve gained so much weight that I’m embarrassed. Surrounding yourself with other people who are committed to staying in shape can motivate you to get healthy again. I’m not getting any results. “You need to establish a goal,” insists Ryan. “Do you want to be more muscular, leaner, toned? 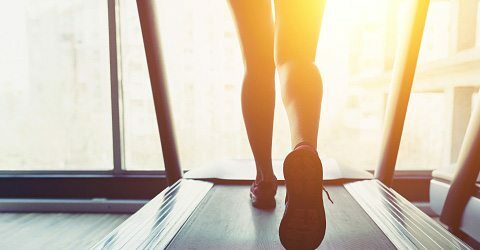 Then formulate a strategy of exercise and nutrition to achieve that goal.” Begin your strategy by setting small, realistic goals — a few pounds, 10 more minutes on the treadmill — then go from there. Make sure not to sleepwalk through the same old routine. Shake up your workouts to shock your muscles and get results. If you always do floor sit-ups, do them on a BOSU ball; increase the resistance on the cardio machine; or try interval training. Results come from hard work. I’m late for my favorite class or my personal training session. “Go anyway,” says Ryan. You can probably sneak into the class (they don’t lock the doors when classes start), or try another class. If you’re late for a training session, your trainer can either create a shorter, tougher workout or give you extra exercises to do after the session ends. Any amount of workout time is worth showing up for. Try a functional training group class or a GGX class where you can try out the TRX Suspension Trainers, which build muscle and burn calories by using your own body weight as resistance. And don’t forget: Interval weight training can get your heart pounding just as hard as a stair machine. 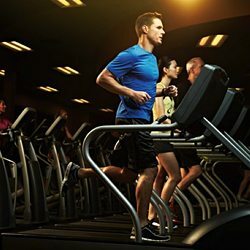 The benefits of cardio can be achieved on and off the treadmill. You should think before you go out to the bar, and limit your intake. Exercise is also a good cure. Go to the gym to sweat it out, and drink lots of water. Drink responsibly, and don’t let this excuse become a regular one.